Really — Comey Teaching Ethics? Former FBI Director Comey will be teaching a class on Ethical Leadership at the College of William & Mary (W&M) in the DC branch campus come this fall. This is very interesting since many of the issues associated with the Hilliary Clinton Email scandal; or the Democratic National Committe paying a former British spy to build a phony dossier with Russian sources he never met against Trump; and the alleged collusion of Trump with the Russians helping his campaign. 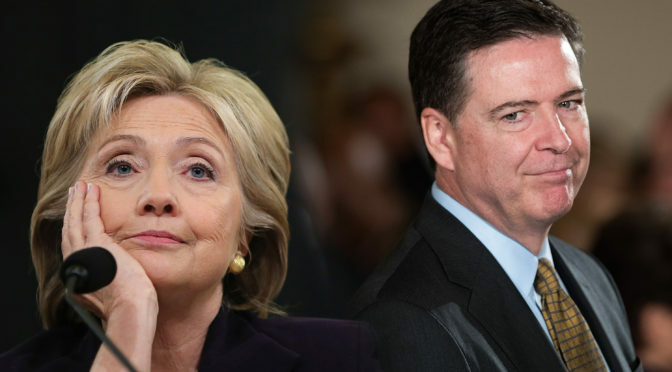 None of this is settled and one might say the Comey legacy is on fire and his reputation is in tatters. Regardless of facts or outcomes, leftist universities have an agenda to preach and a “left, left, left” cadence to keep as they instruct their students to march hard left. Education is no longer about teaching students to think critically or for themselves, it is about grooming the next generation of progressive democratic voters. Oh, and did we mention, Director Comey is a W&M graduate. Left, left, left, right, left. While W&M may be helping to rebuild Comey’s reputation while he also passes their leftist anti-Trump test, Mr. Comey has acted far from ethical. This whole episode is actually very sad and a complete joke. It is very sad to see that the FBI has lost the trust and confidence of the American people. But we must also be very clear, Mr Comey presided over this. Mr. Comey created this mess. It is just too bad he failed the ethical leadership test.